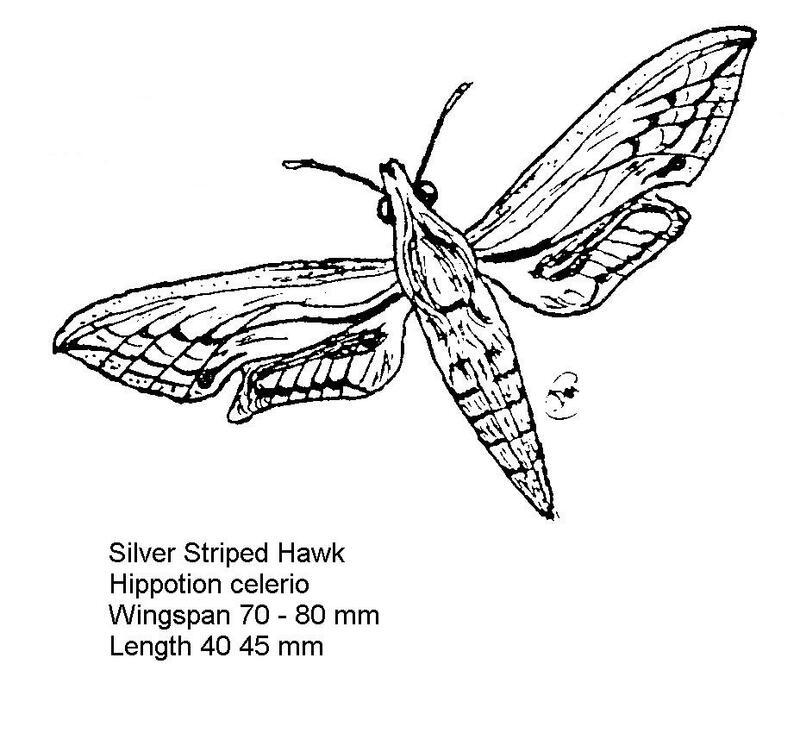 Bulletin 19 - March 1983: Three hawkmoths recorded in the U.A.E. 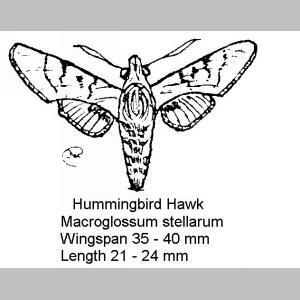 Three Hawkmoths recorded in the U.A.E. This is a very fast day flying moth that hovers in front of flowers and projects its proboscis inside the petals to drink. It has been seen at Hatta around Oleander shrubs (Nerium muscat)[probably mascatense is meant] and at Jebel Hafit near the flowers of Calotropis trees (Calotropis procera). Positive identification has not been made as no specimen has yet been caught. The food plant of the larvae in the U.A.E. is unknown. 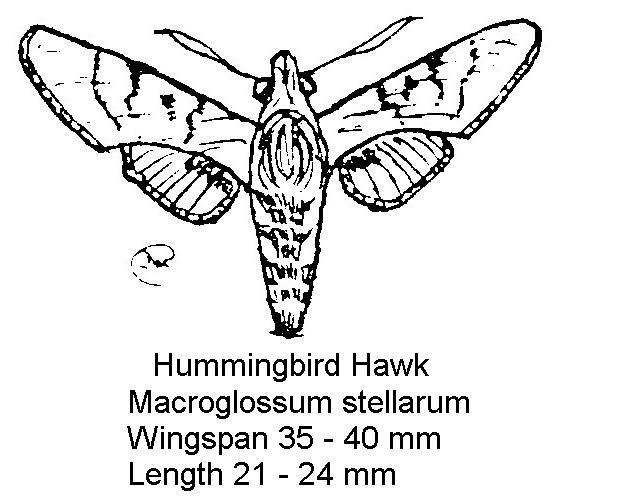 This species is frequently seen during the day resting on walls in the shade, as it is a night flier. 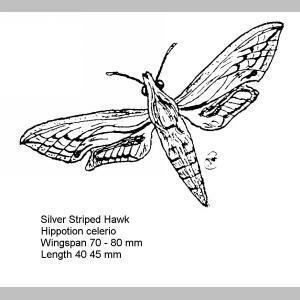 Many caterpillars were seen along the Sueihan Road in May 1982 on Fagonia ovalifolia and Zygophyllum (quatarense? ), though none were eating. 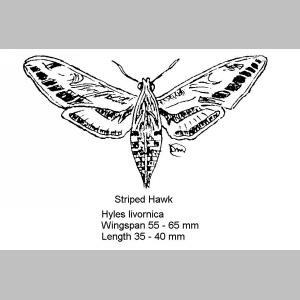 Though similar in general appearance to the striped hawk, this species has a more obvious black marking on the pinkish hind wing. 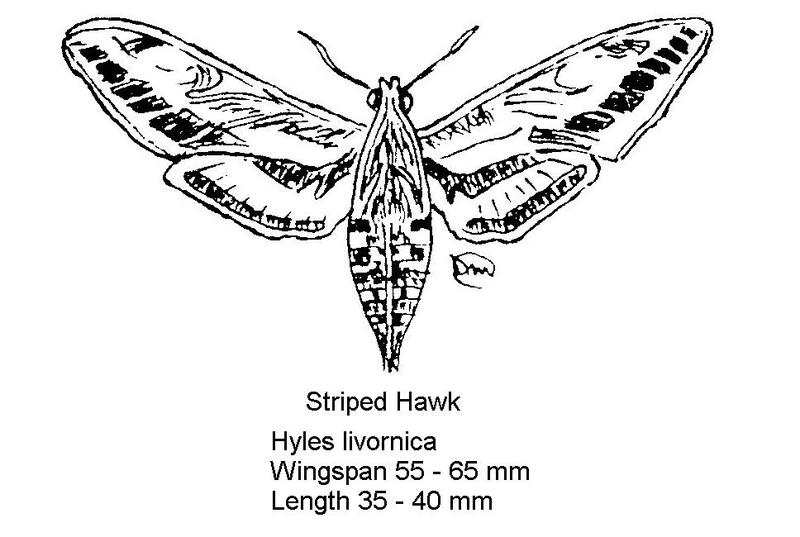 It flies by night, resting on walls and other structures by day, but is not as common as the striped hawk. Its food source in the U.A.E. is not known at present. The Recorder welcomes caterpillar specimens but it is important to collect samples of the plant and observations as to whether or not the caterpillars were eating. Small polythene sandwich bags make convenient though temporary containers. Before sealing the bag with a wire or knot, blow into it to increase the volume of air, and take care not to inadvertently crunch the contents in transit.